Transat A.T. Inc. and its affiliates (hereinafter “Transat”) are committed to protecting your privacy. 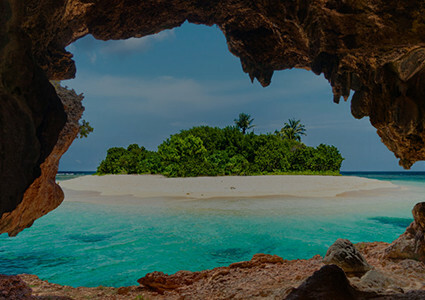 As a tour operator, distributor of travel services and air carriers, we attach particular importance to protecting the personal information that you share with us and we strive to maintain your trust in this regard. 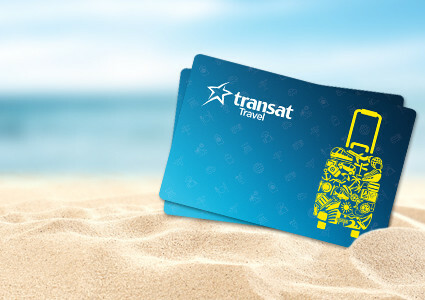 When you travel with Transat, we need to collect some personal information about you such as your name, email address, passport number and payment details. This information is used, for example, to process your booking, to provide you our best possible customer experience and to keep you safe and secure. Some of this information is shared with Transat’s trusted partners such as hotels and airport ground handlers to ensure that your baggage arrives safely at your destination. We are also required to share some of your information with government border control and airport authorities for reasons of security. We educate our employees about the importance of protecting personal information by providing them with training on this topic. We take reasonable measures to ensure that our agents, mandataries, representatives and other external organizations comply with the provisions of the privacy protection legislation in force (e.g. airport service providers, incoming tour operators, hotel operators, administrative support, data processing and data storage companies, payment processors, etc.). We have a dedicated group of employees responsible for matters of protection of personal information and have appointed a Data Protection Officer for privacy-related issues. What is the scope of application of this policy and controller? The provisions of this Policy apply to all personal information collected and processed by Transat within the framework of its activities, unless otherwise indicated when collecting such personal information. 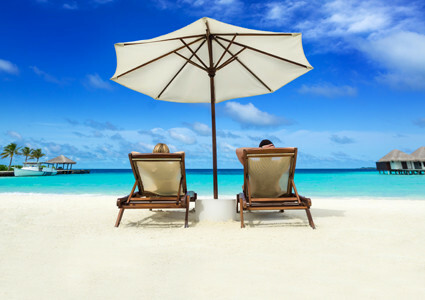 If certain Transat sites refer you to other websites operated by third parties, the information collected by said third parties on these other sites are not subject to this Policy, when it is not used by Transat. We therefore encourage you to review the privacy policies of these websites before disclosing your personal information to any third party. Personal information is any information that identifies you or can be used to identify you. 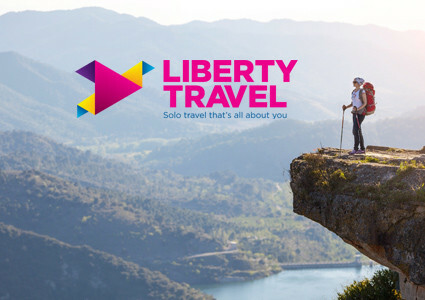 Your personal information may include, for example, your name, your contact details, information relating to your travel itinerary (e.g. your booking reference number) or information on how you use our website and mobile app or how you interact with us. 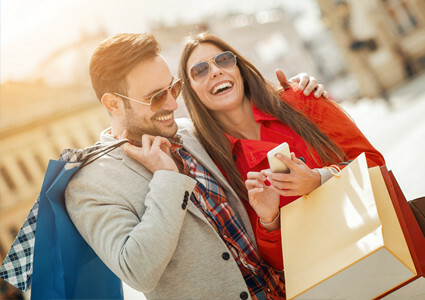 This information may be collected from you during any interactions you have with us, for example when you visit our website, make a booking, call us or send us an email, answer a survey, enter a contest or a draw or subscribe to a loyalty program organized by Transat or on behalf Transat. It may also come from one of our suppliers who provides services to you on our behalf or from one of our suppliers or partners, for example when you book via a travel agency. Your name, date of birth, gender, nationality and passport number. If your minor children are included in the booking, we will collect their identification information. Your telephone number, physical address and email address. If you book via a travel agency, the agency may choose not to share your contact information with us. 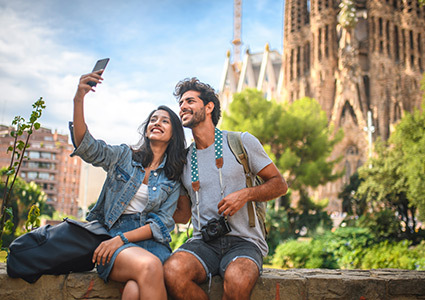 During the booking process we collect information about your booking that may include your date of travel, flight reservations, hotel reservations, payment details and any ancillary services such as Option Plus, upgrades and extra baggage. When you travel with us we collect and process information in relation to your travel such as your travel itinerary, check-in information, electronic boarding pass, medical needs, special dietary requirements and any additional assistance or preferences. If you register your child of 2 to 11 years old to our Kids Club program, we will collect your child’s name, data of birth, gender as well as your name and email address as their parent or legal guardian. When you communicate with us via email, online or via social media, we store your communication and, if relevant, each attachment such as pictures and/or videos. When you contact us by telephone, for instance by calling our reservation department or our customer relations department, we may record your telephone calls for training purposes or to prevent fraud. We also collect your questions or complaints. We collect information about services we have provided to you in the past, including your previous travel arrangements (flights and other bookings), interactions, lost luggage and customer feedback. When you navigate on one of our websites, use our mobile app or subscribe to our newsletter, we may collect your IP address, browser type, operating systems, referring website, preferred language, web-browsing behavior, universally unique identifier (“UUID”) and app use. We may also receive your location data. We collect information that you enter during contests or comments that you choose to share on our social media platforms. Depending on your social network settings, we may receive information from your social network provider. When providing services to you, we may collect personal information that is considered sensitive as it could reveal your racial or ethnic origin, physical or mental health, religious beliefs or criminal convictions or offences. Should you request special medical assistance during a flight, this may reveal information about your health (e.g. need for a wheelchair or oxygen). In addition, your religious beliefs may be revealed when you request special meals or advise us of other dietary requirements. Likewise, your travel document details may contain information that may reveal your racial or ethnic origin. When providing sensitive personal information, explicit consent to the processing of this information must be given. This sensitive personal information will be used strictly to allow us to provide any special services requested and to fully perform our obligations. To inform our flight crew and other members of our team that you have purchased Option Plus; etc. In case of non-provision, objection or restriction to processing or erasure of any information necessary to provide you with our services, or in the event you wish to restrict or withdraw consent previously given to us for the collection and use of your sensitive personal information, we may not be able to provide certain or all of our services to you. In such circumstances, cancellation fees may apply. We may need to contact you by email and/or by telephone for administrative or operational reasons, for example to send you confirmation of your bookings and your payments, to inform you about your travel itinerary, to notify you when check-in is available or to advise you of disruption and changes to your flights. If you are using our mobile app, we may also send you app notifications for these purposes if we have your consent to do so. We will also use your contact information for commercial prospecting and to send you marketing communications, if you agreed to receive such communications. Your opinion is very important to us, so we may seek your feedback via email, social media or surveys. We may use the communications you exchange with us and information about how you use our websites to improve our products and services and to ensure that you receive advertising and communications from us that are relevant to you. Contact you to offer you more information about a product or service, if you agreed to receive such communications. Because it is in Transat’s legitimate interest to use your personal information, in particular, to enhance and improve our products and services, personalise our offers, develop new products and prevent fraud. For example, your personal information related to a booking will be retained to fulfil the specific travel arrangements you have made. Afterwards, we will keep the information for a period of time which enables us to handle or respond to any complaints, queries, concerns or legal procedures relating to the booking. We will actively review the information we hold and either delete it securely or anonymize it, when there is no longer a legal, business or customer need for it to be retained. We use industry standard SSL (Secure Sockets Layer) encryption for the transmission of personal information on our websites, for example when you pay by credit card online. You can verify this protection by looking for the padlock symbol on many browsers. SSL allows a secure connection between your internet browser and our internet server, using a private (or secret) key to encrypt the information. If you are a resident of a member state of the European Economic Area (“EEA”), your personal information may be accessed and processed outside of the EEA by Transat, whose servers are located in Canada, and/or by one of our trusted third party service providers. Except as provided for in article 49 of the General Data Protection Regulation n° 2016/679, when your personal information is transferred outside of the EEA, we require that an adequate level of protection is in place according to the data protection legislation in force. In this respect, we specify that : (i) Canada has been recognized by the European Commission as ensuring an adequate level of protection, likewise New Zealand, Argentina, Switzerland and Israel ; (ii) with regard to the transfer of data to the United States, your personal information will only be transferred to third-parties who undertook to provide guarantees as to the secure processing of personal data in accordance with the Privacy Shield recognized by the European Commission as ensuring an adequate level of protection; for additional information, please refer to the website www.privacyshield.gov; (iii) for other countries, we have ascertained that the recipients of your personal information have put in place the appropriate safeguards in order to ensure that your personal information is adequately protected, the whole in accordance with the data protection legislation in force. Forensic and investigatory service providers for investigating a data breach or incident. Transat's affiliates or their service providers, as part of providing the travel services or offering you ancillary products. Re-targeting technologies use your cookies or advertising IDs and display advertisements based on your past browsing behavior. In light of the obligation to ensure the security and confidentiality of the personal information being processed, two valid pieces of identification must be provided in support of any request made pursuant to the rights listed hereunder. You have the right to access and rectify your personal information. You also have the right to withdraw your consent to processing of your personal information. Accessing the personal information contained in your file and rectifying such personal information is free of charge. When we process your information based on consent you have previously given, you may withdraw said consent at any time. In addition to the rights detailed above, if you reside in a member state of the EEA, you shall have the right, with regards to your personal information, to erasure, to restriction on processing, to object on legitimate grounds to processing as well as to obtain data portability, in circumstances described in the EU General Data Protection Regulation no 2016/679 (“GDPR”). A small fee may be required, upon notice from us, to cover the administrative costs of processing such requests. You may also lodge a complaint with the competent Supervisory Authority in order to enforce your rights. In addition, if you are a resident of France, you have the legal right to direct generally or particularly how your personal information may be used after your death. Furthermore, when your personal information has been collected in France and you do not wish to be contacted by telephone for commercial solicitation purposes, you can register, without cost, to the list of opposition to telephone solicitations on the website www.bloctel.gouv.fr. We will attempt to process your request within thirty (30) days of receipt thereof. If we are unable to respond within this time, you will be notified. This Policy is subject to amendment in particular to account for the rapid evolution of the rules pertaining to protection of personal information and privacy. This version was last updated on March 11, 2019. Any new version will automatically come into effect as soon as it is published by Transat. 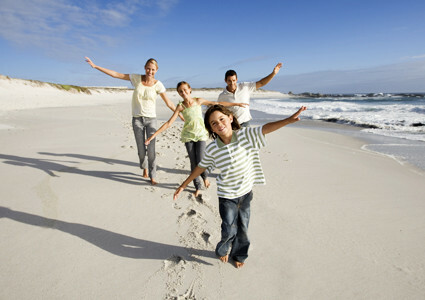 Therefore, please visit Transat’s websites regularly for any modifications.